7 Common Questions About Dental Implants Answered? 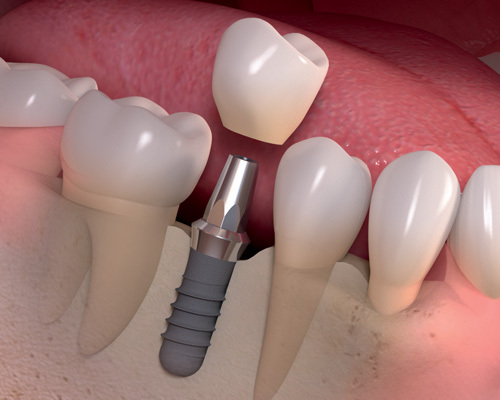 Your dentist suggested you replace your missing tooth with a dental implant? Your mind will instantly have a bunch of questions, right? You may think about what is that, what will they cost and how they will be done? To answer all your questions about the treatment read this comprehensive list of the 8 most common questions before you get a Dental Implant done. A dental implant is basically a titanium screw which your body will accept as it is bio compatible. They provide a solid foundation by replacing the root of the missing tooth. The screw is then covered with an artificial crown to mimic the natural tooth. Patients who are allergic to titanium can have Zircon or ceramic made implants. The cost of the dental implant depends on how many teeth are missing or if there is any other surgery required. In most countries, Dental Implant Cost is around $3000-$4000, but in India, it is much lower. Dental Implants are placed beneath the gum line into the jaw where it will fuse with the bone by the process of osseointegration and hold itself firmly in place permanently. Mostly it depends on the individual, but the duration of surgery will almost take around 1-2 hours, which can also vary on how many implants have to be placed. 1. Natural appearance - Dental implants look so natural you won’t even notice. 2. Improved speech - Dentures can slip into the mouth or make speech difficult. Dental implants will make your speech as natural. 3. Makes eating easier - Not being able to eat your favorite foods? Dental implants work just like natural teeth. 4. Other teeth are not affected – Unlike bridges, dental implants do not affect other working teeth. 5. Durability - Implants will last for a lifetime with good care. Not at all. Dental implants are placed under local anesthesia. If the surgery is extensive then post-operative discomfort may occur which is managed in 3-5 days with medicines. How Long Will Dental Implant Last ? The success rate is about 95%. If hygiene is maintained, then dental implants last for a lifetime. Brushing, flossing, and follow up to the dentist will make the implant to last for the rest of the life.